Rajasthan Police Constable Official Answer Key 2018 is now available, for the July 14 & 15, 2018, examination. Rajasthan police released answer key at police.rajasthan.gov.in. 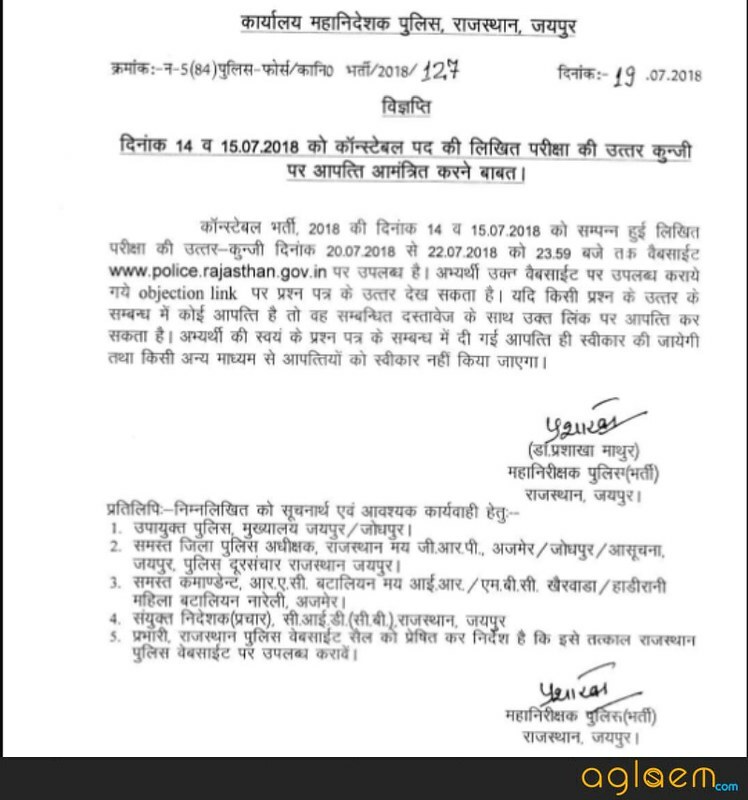 As per the official notice, candidates can register their objection for Rajasthan Police Answer Key to July 22, 2018. You can check the same on this page below. Now, the candidates can cross-check the answers and calculate their score in the examination. The candidates can estimate there marks through Rajasthan Police Constable Official Answer Key 2018, they can check the objection raising method. Latest: Rajasthan Police Constable Official Answer Key 2018 is now available to check below. The recruitment is conducting for 13142 vacancies. Rajasthan Police received 15 lakh application forms, while only 14.50 lakh admit card was downloaded by the candidates and only 10.45 lakh(approx) appeared for the exam. In 15 lakh candidates, 40 thousand filled 02 application form. Due to strictness, only 75% of total registered candidates appeared for the exam. Answer Key: Click here to download the Rajasthan Police Constable Answer Key 2018. How to Download the Official Rajasthan Police Constable Answer Key 2018? To download the Rajasthan Police Constable Answer key 2018, the candidate needs to follow these easy steps. At first, candidates need to click on the above link. As soon as they click on the link, the link will redirect them to candidate login Page directly. Now at the page, the candidates have to enter the roll number and application number. After providing the login credentials hit the “Next” button. The answer key will be available there. The next step after downloading the Answer key is to calculate your marks, but for that know how to use the Answer key in calculating marks. 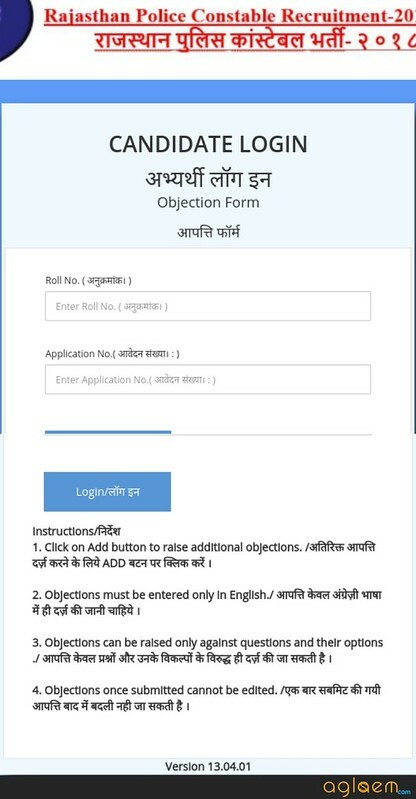 How To Raise Objection Against Rajasthan Police Constable Official Answer Key 2018? 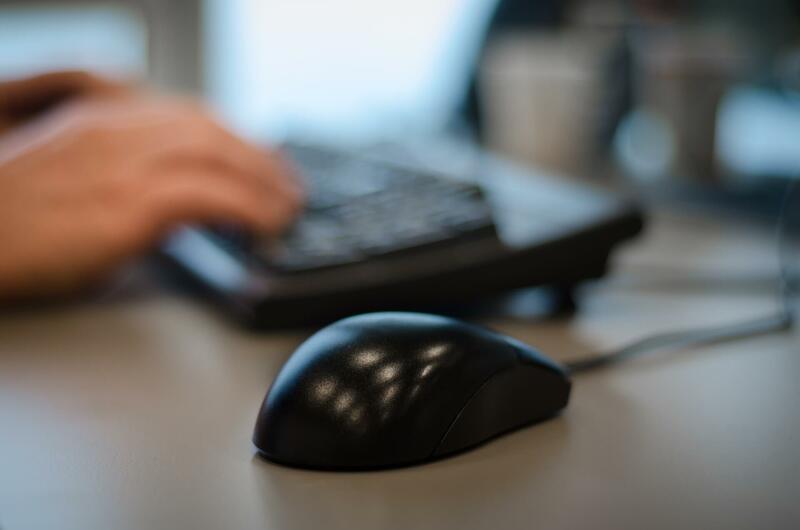 The candidate login is the gateway for raising an objection and chceking the answer key. The candidates can raise objection against question and their options which they have marked in the exam. To do so they have to add objection only through an online medium. Objection submitted other than online will not be accepted. 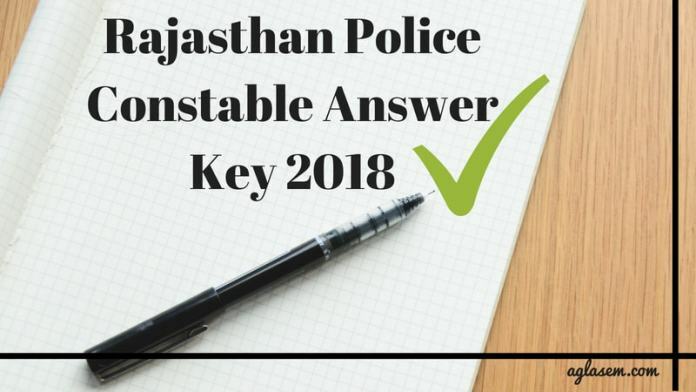 How to Use the Rajasthan Police Constable Answer Key 2018? Afer getting the answer key the first step of candidates should be to cross-check their marked answer with answer present on the answer key. The answer key is very helpful for the candidates until the result announced. They can assess their performance in the examination and can estimate their chances of selection. So to use the Answer key knowledge of marking scheme is the must. 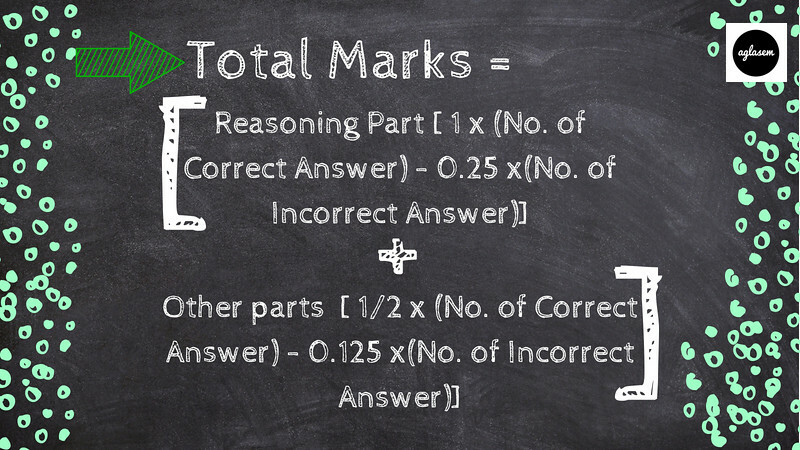 So the next section of this page will guide you about calculating marks form your answer key, as well as will give you the knowledge of marking scheme. How to Calculate Marks through Rajasthan Police Constable Answer Key 2018? So as we discussed above to calculate your marks you need to have the knowledge of Marking scheme. There are three parts in Written Test. All of the above subjects have distinct marks distribution. In Part -I the Reasoning carries 01 marks for each question while in Part II & III each question carries, 1/2 marks. Negative Marking is also applicable here, on every incorrect answer 25% marks will be deducted. So after knowing the marking scheme, the candidates can calculate their marks accordingly. As there is a lot of confusion in marks distribution, So here we are providing the proper formula to calculate the marks. Let’s check it from below. How to Download Unofficial Rajasthan Police Constable Answer Key 2018? As we said above, Rajasthan Police Constable Official Answer Key 2018 will be released by the conducting body. So, on the day of the exam, we will provide here the unofficial answer key. candidate can refer them for current basis until the official one released. Hence check the step to download the answer key. First of all, there could be two possibilities here, either answer key will be in pdf form or in a video. If the answer key is in pdf form then click on the right corner, a pop out will be shown. Now click on it and download the same. If an answer key is in the video then kindly watch the entire video, and note down the answers. See answer key is very helpful for the candidates as well as for the conducting body. How it is helpful to check form the below points. After conducting the exam, preparing result may take time. Hence answer key help the candidates to cross-check the marked answer. In the meanwhile, conducting body prepares the result. As answer key contains the correct answers so, candidates can estimate their marks. 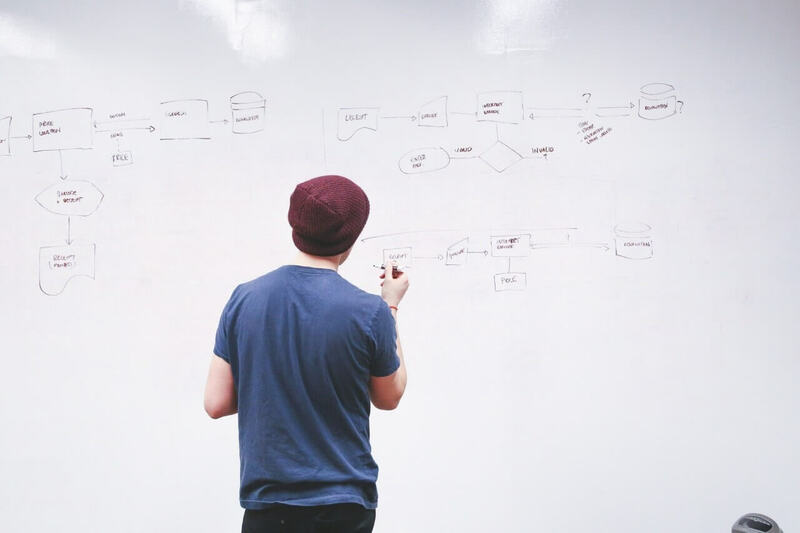 The candidates will get the chance to assess themselves in advance. Even the transparency between the conducting body and candidate is maintained through the answer key. If anybody is not satisfied by the answer key, then he/she could put objection against it on Rajasthan police website. They will consider your answer if that will have the right logic. 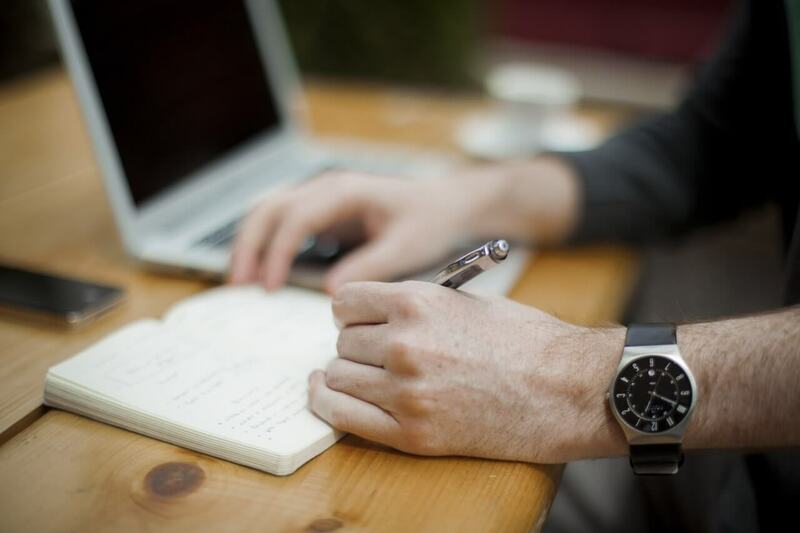 As we know that Written test, is objective in nature, that’s why Candidates will get the Answer key for the Exam. Rest of the exams are based on the physical tasks, So there is no need for an answer key. After releasing the Answer key Office of Director General of Police Rajasthan will release the final result for the written Test. Those who will not satisfy with the Answer key, have to wait for the Declaration of Final Result. because the final result will remove all the confusions of the candidates. In order to check the result, the candidates will require the SSO username and Password.